Engineers at Australia's University of New South Wales have invented a radical new architecture for quantum computing, based on novel 'flip-flop qubits', that promises to make the large-scale manufacture of quantum chips dramatically cheaper – and easier – than thought possible. The new chip design, detailed in the journal Nature Communications, allows for a silicon quantum processor that can be scaled up without the precise placement of atoms required in other approaches. Importantly, it allows quantum bits (or 'qubits') – the basic unit of information in a quantum computer – to be placed hundreds of nanometres apart and still remain coupled. "If they're too close, or too far apart, the 'entanglement' between quantum bits – which is what makes quantum computers so special – doesn't occur," Tosi said. 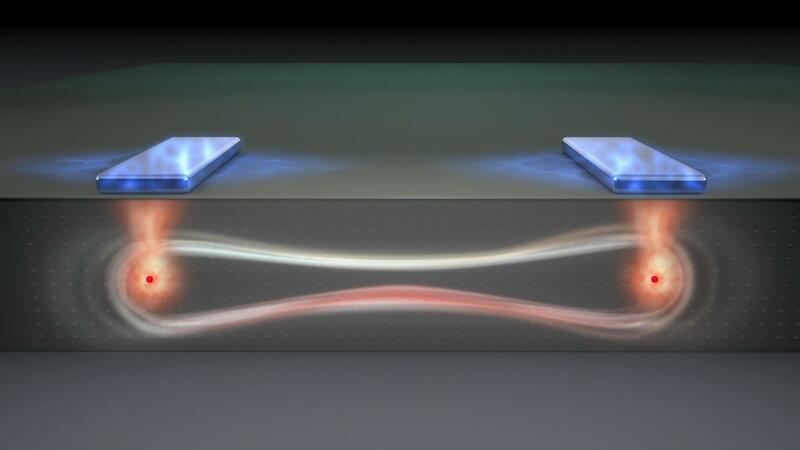 At the other end of the spectrum are superconducting circuits – pursued for instance by IBM and Google – and ion traps. These systems are large and easier to fabricate, and are currently leading the way in the number of qubits that can be operated. However, due to their larger dimensions, in the long run they may face challenges when trying to assemble and operate millions of qubits, as required by the most useful quantum algorithms. Morello called Tosi's concept as significant as Bruce Kane seminal 1998 paper in Nature. Kane, then a senior research associate at UNSW, hit upon a new architecture that could make a silicon-based quantum computer a reality – triggering Australia's race to build a quantum computer. "Like Kane's paper, this is a theory, a proposal – the qubit has yet to be built," said Morello. "We have some preliminary experimental data that suggests it's entirely feasible, so we're working to fully demonstrate this. But I think this is as visionary as Kane's original paper." Building a quantum computer has been called the 'space race of the 21st century' – a difficult and ambitious challenge with the potential to deliver revolutionary tools for tackling otherwise impossible calculations, with a plethora of useful applications in healthcare, defence, finance, chemistry and materials development, software debugging, aerospace and transport. Its speed and power lie in the fact that quantum systems can host multiple 'superpositions' of different initial states, and in the spooky 'entanglement' that only occurs at the quantum level the fundamental particles. The UNSW team has struck a A$83 million deal between UNSW, telco giant Telstra, Australia's Commonwealth Bank and the Australian and New South Wales governments to develop, by 2022, a 10-qubit prototype silicon quantum integrated circuit – the first step in building the world's first quantum computer in silicon.